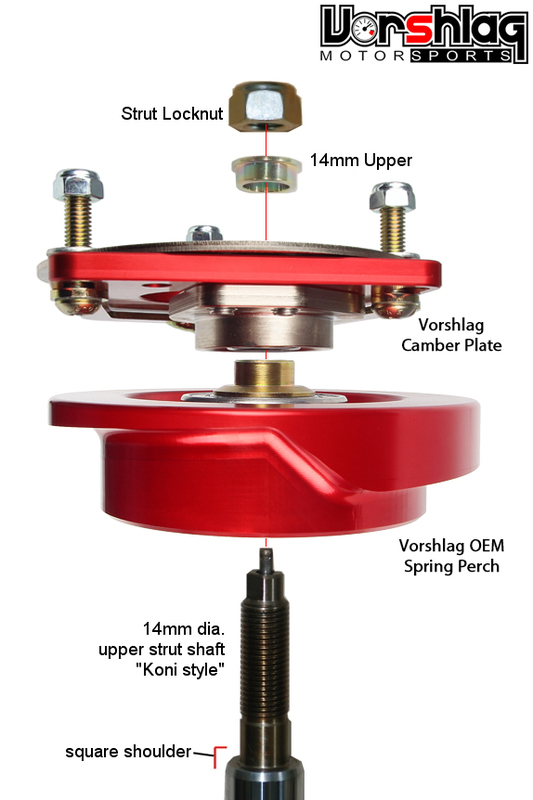 In order to properly use Vorshlag camber plates, you must choose spring perches that match your strut brand and spring type. 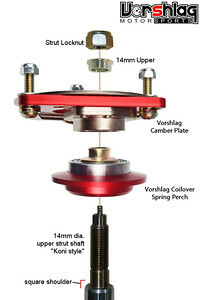 Vorshlag camber/caster plates are designed to be compatible with stock style springs (for 95M, 96-99M, and non-M) and all strut types. We make over 21 variations of this plate to work with your set-up! Compatible with factory springs and lowering springs (both M3 and base model), and all struts. Plates are designed specifically for BMW E30, E36 or E46 chassis. Spring Perches: The E36 has 3 different OEM spring diameters and the common "lowering springs" (Eibach or H&R) use the same OEM size upper spring perch, so if you have stock or "lowering" springs choose the OEM perch size based on the year/model car you have. Note: Z3 non-M's using stock style springs need to select the E36 non-M OEM Perch, while Z3 M's need to select the 96-99 E36 M3 OEM Perch. We have once again upgraded our custom-built steel OEM style upper spring perches (used on BMW/MINI camber plates with OEM style springs). 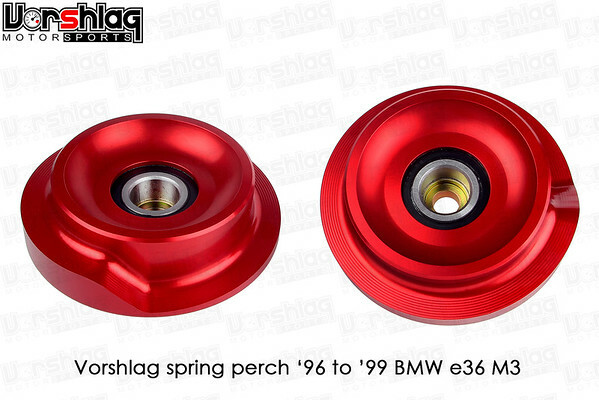 OEM upper spring perches for 96-99 E36 M3 are now made from billet aluminum, much like the perches for our E9x M3 camber plates. These billet perches are designed and manufactured in house and anodized for corrosion resistance. 95 M3 OEM perches at the moment still utilize our steel and powder coated perches but will be receiving that same billet aluminum redesign by the beginning of 2016. Strut Style: Please pick your strut brand and sizes from the drop down below. This helps us build the spring perches to fit your struts with a tight tolerance and no slop - for quiet, reliable use. If you do not know what struts you have please have a reputable BMW shop inspect them, as most mechanics can spot the differences with a quick look. There are also new struts and updates to existing models that come out from time to time. If your strut is not listed, please pick the "Other" option and let us know what brand and model struts you have in the order notes. Note: Koni makes struts for some BMWs with both tapered and square shaft shoulder transitions, so if you have Koni struts please inspect your struts before ordering (or let us know when and where they were purchased, which helps us determine what style to build for). Some manufacturers will have the same model shock with different thread pitches or diameters of the threaded pin. 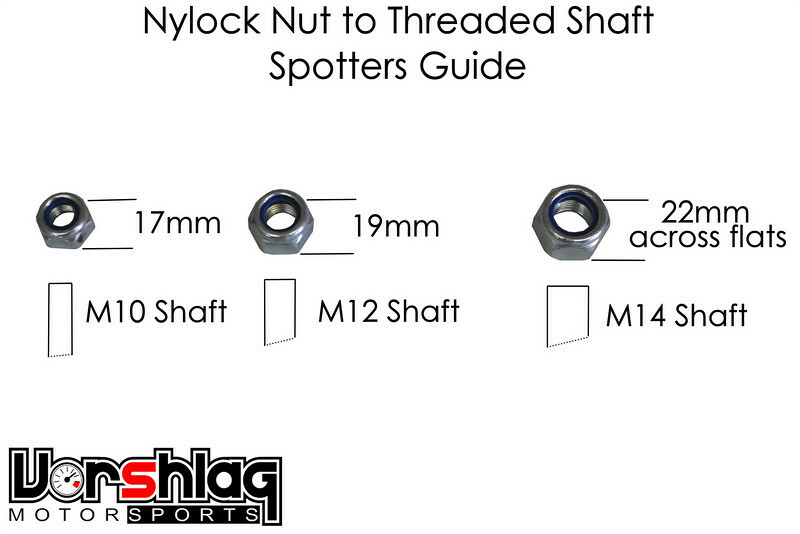 If you see two options for your strut, please consult the spotter's guide below to determine what the diameter is for the threaded pin on your strut.